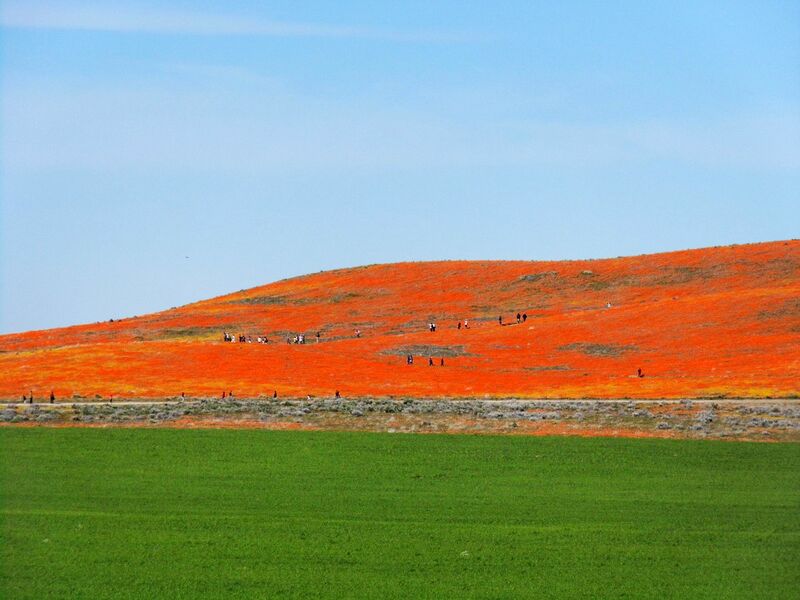 I hadn't planned on making a special trip to the poppy fields of the Antelope Valley this year—especially not after my infuriating experience earlier in the season at Walker Canyon in Lake Elsinore. 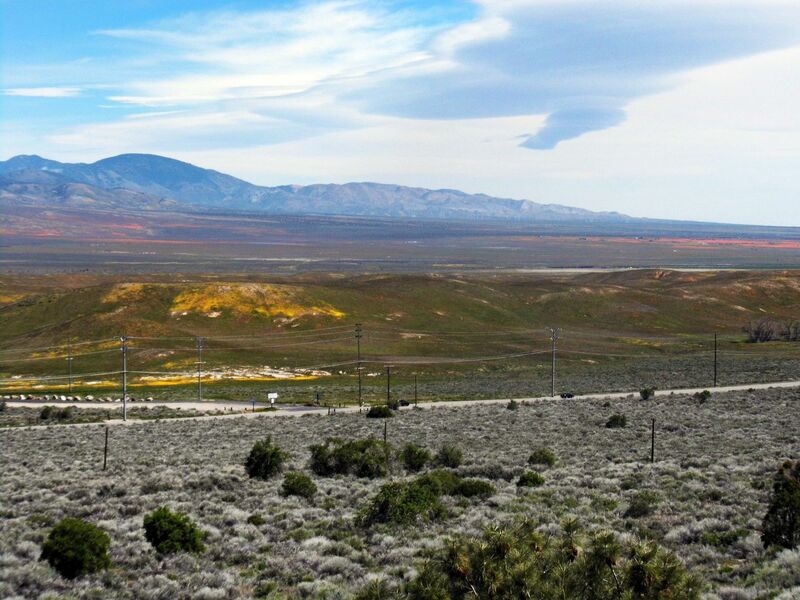 But then I was looking down upon the valley floor as I was standing along a ridge at the westernmost portion of Lancaster—and I saw it. From nearly 20 miles away, it was the brightest orange I'd ever seen. It couldn't possibly be real. 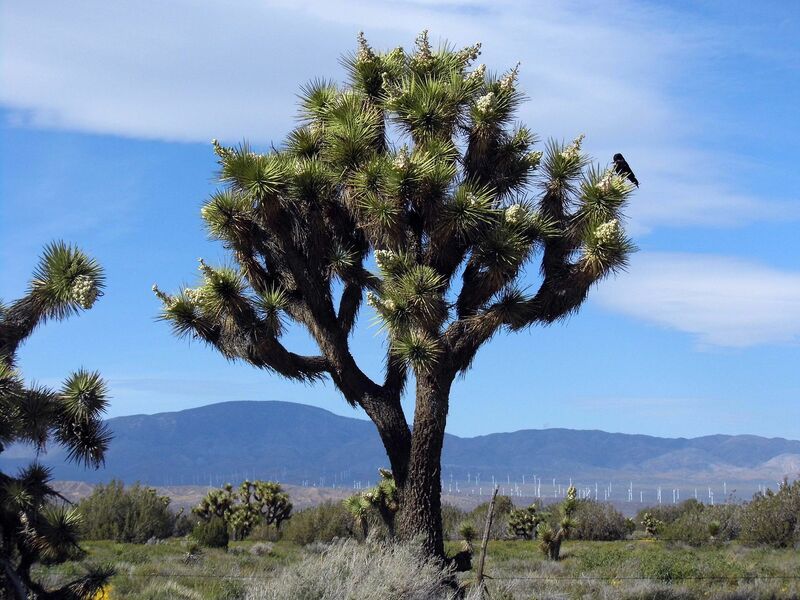 So instead of hopping on the 5 freeway to go home, I detoured east on the 138 and drove along Avenue D, past the Lancaster Road turn-off, and gawked at the Joshua trees in bloom. 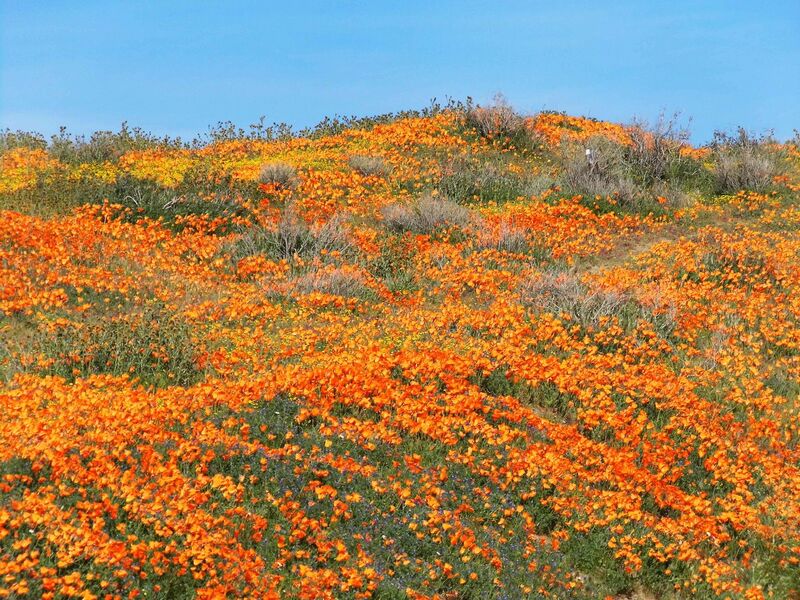 ...their orange petals quivering in the breeze. 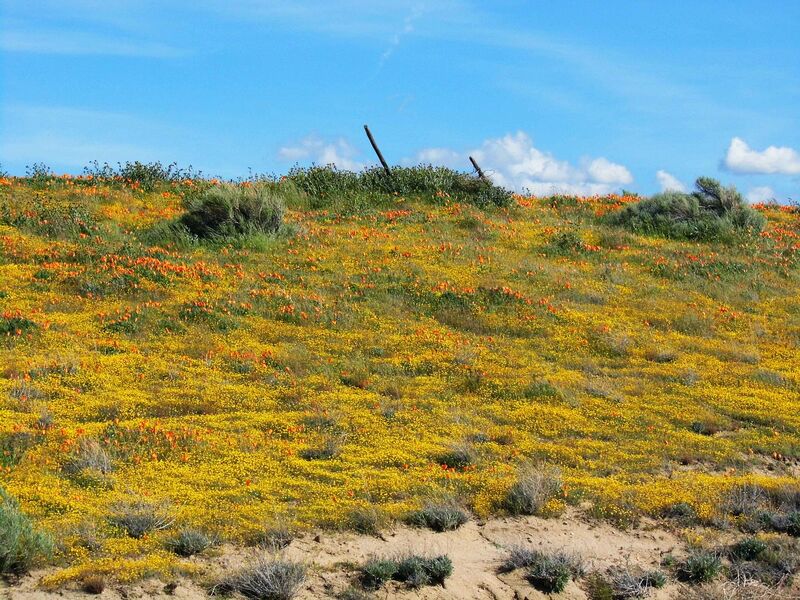 What I'd seen from afar was even more spectacular from Lancaster Road—across the street from the Antelope Valley California Poppy Reserve. 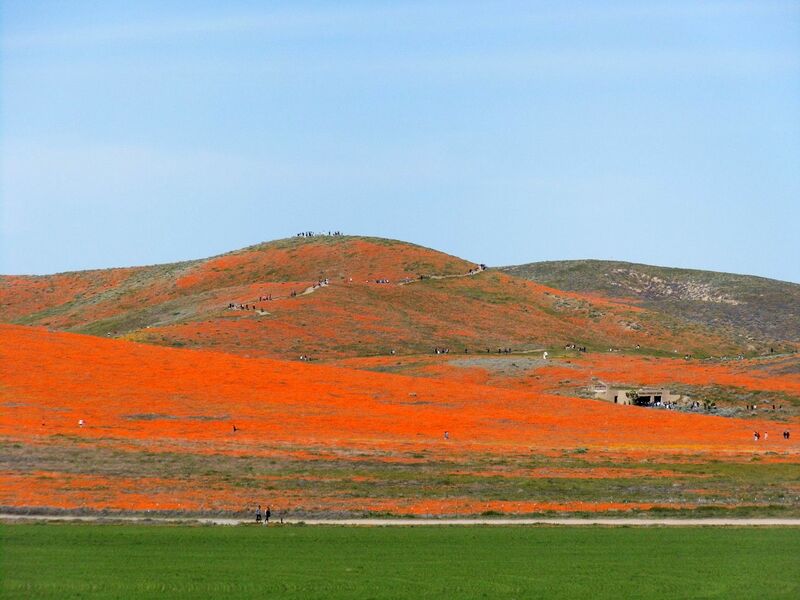 It was the most poppies I'd seen at any one time in any one place. The hillside's fluorescence was preternatural. This time, I decided to enjoy and admire it from afar, taking in the full panorama rather than fighting the crowds for the perfect close-up. I crawled down Lancaster Road in my car, bobbing and weaving around those who'd parked outside the fee area and walked, and pulling over a few times to snap a few shots while double parked. Once again, the photos don't do it justice. 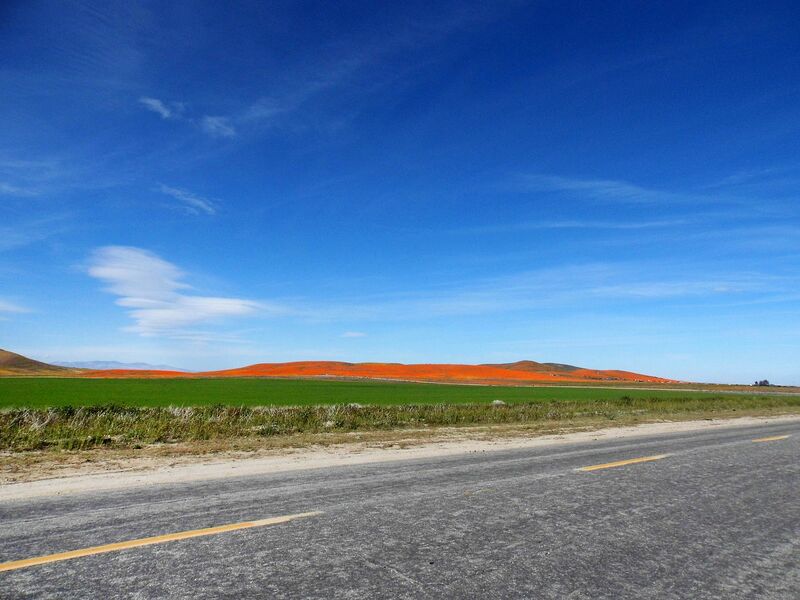 It was even more unbelievable than what a picture can portray—as though the landscape had been spray-painted with the brightest caution orange that a construction crew could ever find. 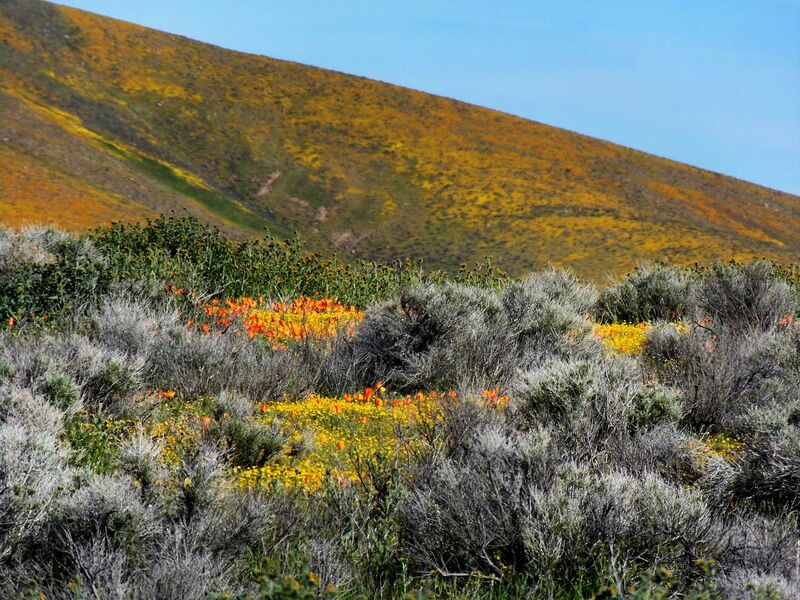 Wildflower season is nearly over here in the southernmost reaches of California—especially with the heat wave that's set in over the last two days, which is sure to burn out any remaining blooms. I didn't get to see everything—but between the Antelope Valley, Anza-Borrego, and everything in between, I do feel I got the best of the best. And that'll tide me over until next year.